Jars Of Clay Biography, Discography, Music News on 100 XR - The Net's #1 Rock Station!!! Hailing from Nashville, Tennessee USA, the Alternative-Rock act Jars Of Clay originated in 1993 as a collaboration between singer + songwriter Dan Haseltine and keyboardist Charlie Lowell while both attended Greenville College in Illinois; soon after, the pair recruited guitarist Steve Mason and started gigging around the Contemporary Christian music circuit. The band then expanded to a quintet with guitarist Matt Bronleewe and drummer Scott Savage. 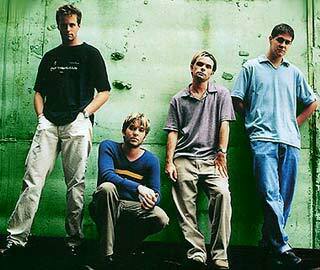 In 1994, Jars Of Clay self-financed and recorded a demo entitled "Frail" which earned them a contract with Essential. The following year Bronleewe left to be replaced by Matt Odmark and in October the group released their self-titled debut full-length disc, which featured the American Top 40 hit "Flood", this single also reached the #12 spot on The Modern Rock chart and #16 on The Mainstream Rock Tracks sending the album into the top 50 of The Billboard 200 list and at the top of the Billboard Magazine's Top Contemporary Christian chart. That same year the band scored another Contemporary Christian top 5 hit with the Christmas EP "Drummer Boy" and "Jars Of Clay" album, ended up with sales of over 2 million copies. The band's sophomore LP, "Much Afraid" came out in September 1997, going straight to #8 on The Billboard 200 chart highlighted by the Modern Rock top 40 single "Crazy Times"; their second effort won a Grammy Award for Best Gospel Album but it wasn't an upbeat album like the first. Two years later Jars Of Clay released its third full-length, Joe Porter was added as a new drummer in the live line-up, to replace Savage; "If I Left The Zoo" rose to #1 on the Billboard's Contemporary Christian list and was awarded a Grammy for Best Contemporary Gospel Album but missed the top 40 of the official U.S. Top 200 chart; it provided only one minor hit single, "Unforgetful You". The follow-up CD, "The Eleventh Hour", which was issued in early 2002, reached #28 on The Billboard 200 and included the radio single "I Need You", the track received massive airplay on alt-Rock Contemporary Christian stations; the band's fourth LP won them their third Grammy, once again for Best Pop/Contemporary Gospel Album. A year later the group released the retrospective collection "Furthermore: From The Studio, From The Stage" and their fifth studio record, "Who We Are Instead" which featured the single "Show You Love"; both the full-length discs climbed into the top 5 of the Billboard's Top Contemporary Christian Albums chart. March 2005 saw the release of "Redemption Songs", this album restored Jars Of Clay to the top of the U.S. CCM chart. Later in the year the group recorded "Waiting For The World To Fall" which was included in the soundtrack of the film "The Chronicles Of Narnia". The group unleashed their next album, "Good Monsters", in September 2006; the set, completely self-produced by the band, contained the CHR radio singles "Work" and "Dead Man (Carry Me)". "Good Monsters" hit the top 3 on both Christian and Independent Albums charts also reaching #58 on the overall Billboard Top 200 listing. The following year they put out a holiday CD titled "Christmas Songs". 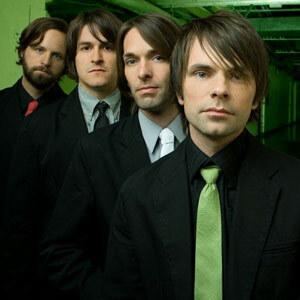 The Nashville foursome resurfaced in April 2009 releasing "The Long Fall Back To Earth"; the disc, which contained the single "Two Hands", hit #1 on the Top Christian Albums chart and peaked at #29 on The Billboard 200. A new top 5 Christian Albums entrant, "The Shelter", followed in October 2010. 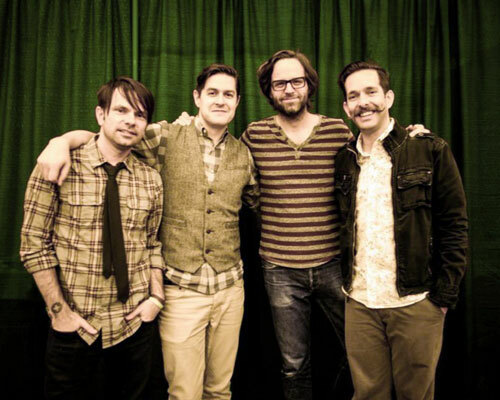 Jars Of Clay has targeted August 27, 2013, for the release of "Inland". The band's new album is preceded by the single "After The Fight".